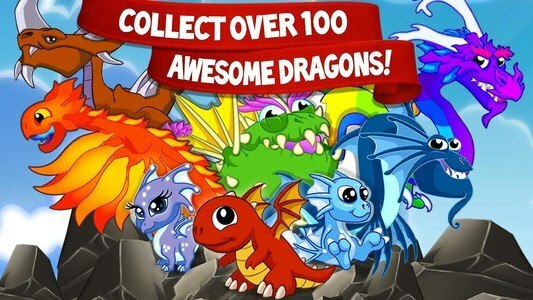 Discover the most popular Dragon collecting game in the world! Can you hatch them all? Your Dragon-filled destiny awaits in DragonVale! 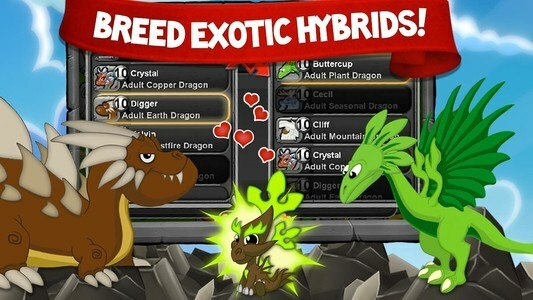 ★ Breed and raise 250+ different dragons. Match, hatch, and show off your stash! 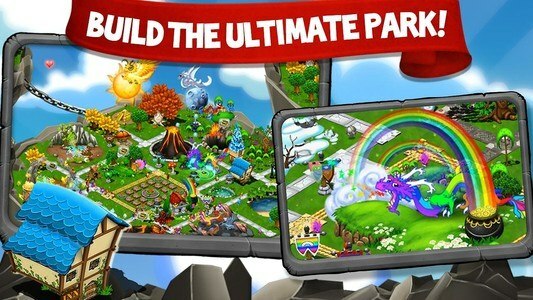 ★ Build and decorate beautiful floating islands in the sky to create your ultimate park. 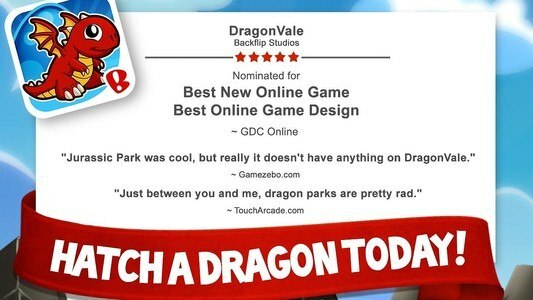 Your park, your dragons, your DragonVale! ★ Enter your dragons in fun races, quests, and contests to win epic prizes. Let the Dragoning begin! 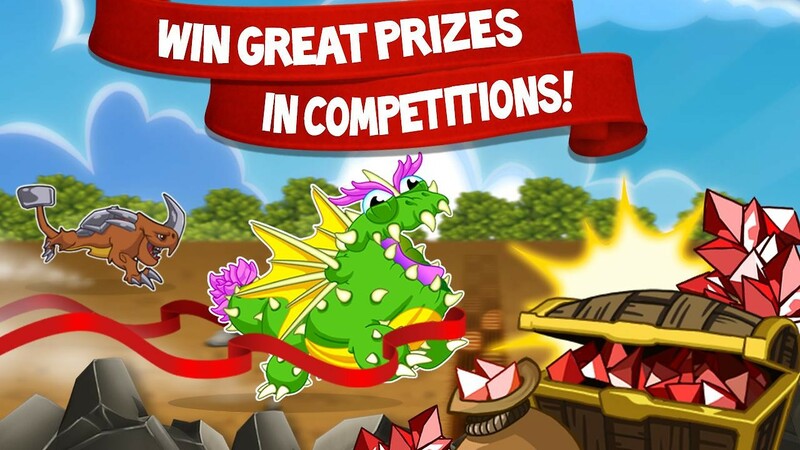 ★ Discover new dragons, decorations and activities during special seasonal events. ★ Browse the Dragonarium to keep track of all the dragons you’ve collected and which you’ve yet to breed. ★ Impress your family and friends by displaying your park and sharing your favorite dragons for cooperative breeding! ★ Visit friends’ parks and give each other gifts. ★ Spectacular visuals and sparkling animations accompanied by an original soundtrack written by our award-winning composer. ★Play DragonVale today! It’s free. PLEASE NOTE! Some game items can be purchased for real money. If you don't want to use this feature, you may control in-app purchases made within this app using the password settings explained in the Google Play help center.